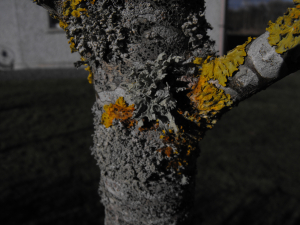 Observation - Range of lichens - UK and Ireland. Description: Found these Crustose, foliose and fruticose lichens growing happily on a 12 year old Mountain Ash tree. Found these Crustose, foliose and fruticose lichens growing happily on a 12 year old Mountain Ash tree.